According to a recent NICE customer survey, customer experience has overtaken price and product as the key brand differentiator for consumers. However, gaining the skills and insights needed to achieve best in class customer experiences requires that you build analytics into your very nature. 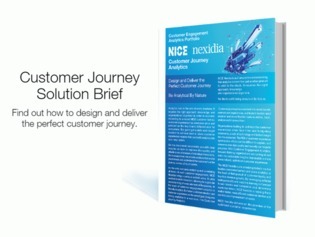 Take a look at this solution brief to learn how analyzing and correlating all levels of customer engagement can add value and context to each interaction, allowing for a granular understanding of every element of the journey.